I admit it I am a candleholic (if that is a word lol), I love candles and always try to find one that will fill the air with a great scent. Especially during the holidays I look for scents that fill the air that remind me of the holiday season! 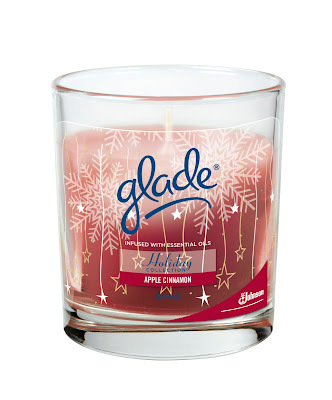 Glade has just released a Holiday Collection which includes the limited-edition spicy, sweet Bayberry Spice as well as Apple Cinnamon scent. These candles are made to complement any holiday decor and are packaged in refillable scented oil candle tins. Glade Scented Oil Candles use a unique warming plate to quickly melt the candle into a large pool of scented oil, so more fragrance is released into the air. 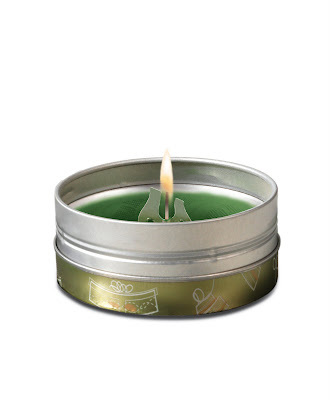 Once the oil is gone, the candle safely goes out with leaving a mess! Always be sure to place the holder on a flat, heat-resistant surface away from drafts and flammable material. Subtly Set the Mood: When entertaining, set a scented candle in the foyer to welcome guests with a unique fragrance and create a friendly first impression. Select a comforting scent, such as the Glade Scented Oil Candle in Apple Cinnamon, which has a soothing blend of spiced cider and homemade apple pie. Personalize each room by featuring a different scent. 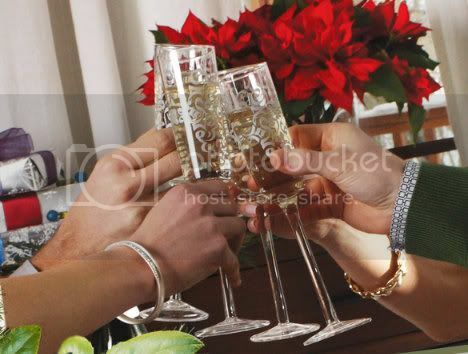 Lower the Lights: Dim lighting creates an intimate atmosphere for holiday gatherings. Turn lights low and use candles to create the desired effect. Line candles along the mantelpiece or the living room end table to achieve this look effortlessly. Ready the Guest Room: Show guests you care about their comfort by preparing the guest bathroom ahead of time. Make it welcoming and peaceful with a candle from the Glade® Candles Holiday Collection. 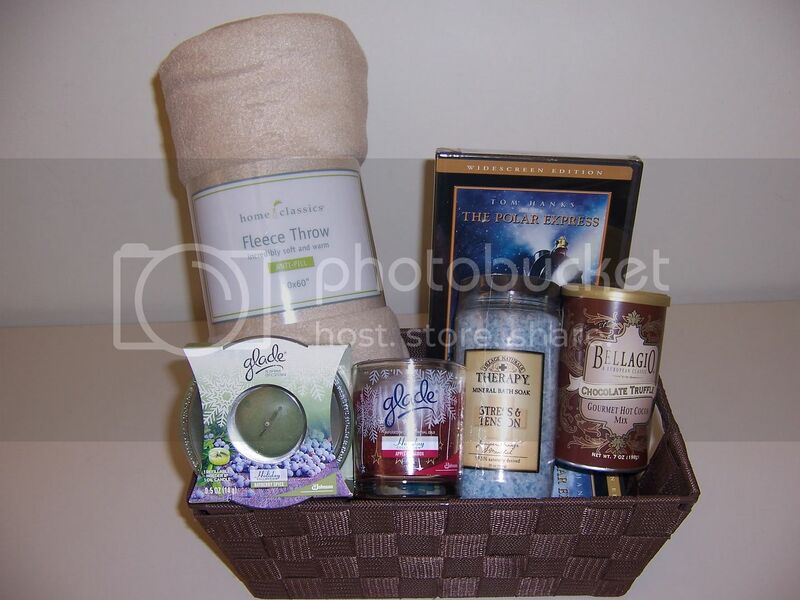 Help guests refresh from traveling with a set of towels and scented bath salts. Visit Glade and check out their holiday scents, then come back here and tell me what scent you would like to try the most! I would like to try the Hollyberry Wreath and the Homemade Gingerbread. One of the reasons I love this season so much is because of all the holiday scents! I could live with them year round! Following on Twitter and tweet! I'd like to try this scent - Peppermint Crush. I think I would like the apple cinnamon scent the best. Bayberry spice sounds like a wonderful scent. I will have to go with Peppermint Crush. I would like to try Homemade gingerbread scent. Apple Cinnamon is my favorite no matter what...all the time. Bayberry Spice is the scent I'd like to try most. We like cookies, so Homemade Gingerbread. Bayberry....I'm not sure what that smells like! I would like to try the Peppermint Crush. Thanks for the chance! I would love to try peppermint crush. Thanks. I am a fan of Life In A House Of Blue on Facebook. The silent night sounds like it smells nice. I'd like to try the Hollyberry Wreath. It sounds so festive for the holidays. I'd like to try the Peppermint Crush. The cool scent of Peppermints wafting thru the house.AHHHHH.. They all sound great but the Apple Cinnamon would be my first choice. I'd most like to try Homemade Gingerbread. Thanks. I would like to try the Hollyberry Wreath scent. I will definitely buy more scented oil refills in the Hollyberry Wreath scent. They smell wonderful! The Homemade Gingerbread sounds great! I would love to try the Homemade Gingerbread scent! I'd like to try Bayberry Spice. I want French Vanilla. Thanks! I want to try gingerbread, it's my favorite holiday scent! Apple Cinnamon would be my favorite! It reminds me of the aroma of hot wassail at Christmas! I think I would love the Bayberry Spice. I would like the Bayberry Spice scent. Peppermint Crush sounds so good. I would love to try the hollyberry wreath. That sounds like it smells great! I would love to try the Homemade Gingerbread. Would love to try the French Vanilla! Homemade gingerbread sounds nice. Thanks for the chance. I would most love to try the Homemade Gingerbread scent! I would like to try the New Hollyberry Wreath. Peppermint Crush sounds like something I'd have in our house! The scent I would like to try the most is the Peppermint Crush. I want to try the French vanilla. Peppermint crush sounds fun to try! It always reminds me of Christmas. Fan of Life in a House of Blue on Facebook! now Following Suzanne70070 on Twitter! Following the Life in a House of Blue blog with google friend connect! I would like to try Hollyberry Wreath. Yummm ... I am torn between the Bayberry Spice scent and the French Vanilla. I lean more towards the Bayberry Spice because it's so much a seasonal fragrance, rather than being available year-round. Fresh pine and cedar, followed closely by bayberry spice. Apple Cinnamon would be my first choice. The Apple cinnamon is nice, have tried that one and would love another one! I would most love to try the French Vanilla Scent.